Put yourself in your potential boss’ shoes – remember they are busy and time poor so you don’t have long to get their attention. Remember the context in which they might be looking at your application. They are likely going to be distracted, being interrupted and could be inundated with applications to make it as easy as possible for them to see you have the skills for the job. Ensure your LinkedIn profile is pimped – your LinkedIn profile is one of the first places a potential employer or recruiter looks. Make sure you have a great photo, header image and as much information as possible that showcases your expertise and skills. Do your research and be proactive - One thing that impresses potential employers is people who have taken some time to research their company and are proactive in their approach. Also, do your research on the industry. This shows that you are proactive, knowledge and not afraid to take time to learn which are valuable traits to employers. Use video applications – a video is hugely underutilized but a great way to stand out as it showcases our personality, your attitude and how your present. There are several free tools you can use to film a short video on your laptop or phone so write a short script and do a few practice runs and wow them with your video application. Check spelling and grammar – Do a spell check and use a free tool like Grammarly to check your spelling and grammar throughout your application. An application full of mistakes will get moved to the no pile very quickly. It matters! 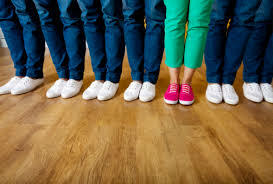 These simple tips can move you from excited job seeker to excited employee if you make the time and effort to stand out and get noticed by all the other applicants.